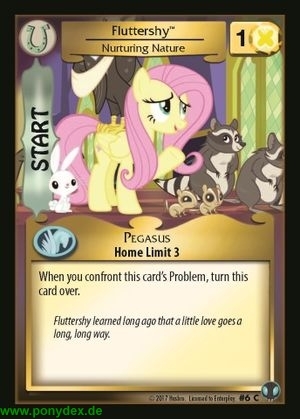 Fluttershy learned long ago that a little love goes a long, long way. "Oh, you poor, poor things! 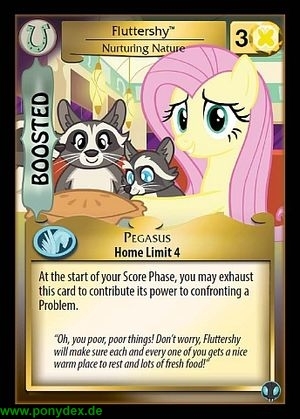 Don't worry, Fluttershy will make sure each and every one of you gets a nice warm place to rest and lots of fresh food!"